The Can-Am Defender XMR & Lonestar are some of the toughest machines on the market right now. Whether you’re using your machine for sport or for farm, the Defender is sure to excel no matter what you put it through. Here at Wild Boar we know the importance of selling quality products that both perform well and keep up the unique style of machines they go on. 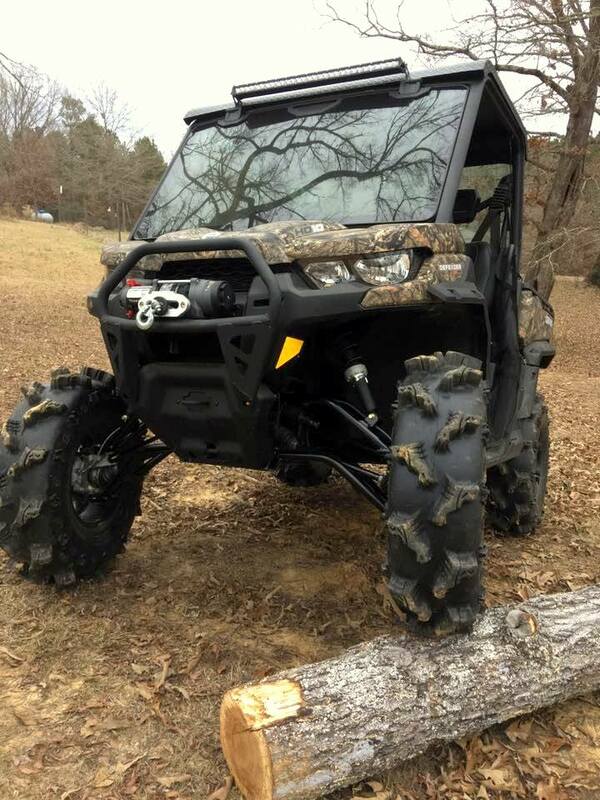 That’s why we are proud to offer Moheadz Customz tough, durable lift kit for the Can-Am Defender XMR, Lonestar, and wide model crew cab bikes. This kit will be a 3″ lift and 2″ forward rake, giving you the extra clearance you need to run those bigger tires or hit that hole you always get hung up on. This kit also comes powder coated black (or Sunburst Yellow) for extra durability.